A tweet from @evleaks on Sunday brought forth information bound to make the hearts of some Canadians beat a little faster. 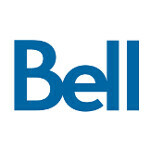 According to the message, Bell is planning on offering customers the humungous Samsung Galaxy Mega 6.3 and the LG Optimus L5 II. Pricing of the two models was not disclosed nor was a launch date mentioned for either model. The Samsung Galaxy Mega 6.3 is a giant offering a 6.3 inch display with 720 x 1280 resolution. That works out to a pixel density of 233ppi. Under the hood is a dual-core 1.7GHz processor with 1.5GB of RAM on board. The 8GB of native storage can be expanded using the 64GB capacity microSD slot, and the two snappers on the phone are 8MP on back and 1.9MB in front. You need a decent sized cell to run the lot, so Samsung put a 3200mAh battery inside, and the OEM's Nature UX UI runs on top of Android 4.2.2. Atr the opposite end of the size spectrum is the LG Optimus L5 II which has a comparatively puny 4 inch screen with resolution of 480 x 800 (WVGA) and pixel density of 233ppi (matching the larger Galaxy Mega 6.3's pixel density). A single-core 1GHz MediaTek processor drives the device, which has 512MB of RAM and 4GB of native storage on board. There is a 32GB capacity microSD slot available on the handset and there is a 5MP shooter on back. There is no front-facing camera on this model. A 1700mAh battery keeps the lights on and the device is pre-installed with Android 4.1. So there is the long and short of it as far as Bell is concerned. Either phone is bound to find a few fans from the Canadian carrier's subscriber list.